Fortnite did it. The battle royale game, which has become wildly popular over the last year, appears to have finally led to Sony’s capitulation. Because Sony, which has refused to play nice with other gaming platforms, will now offer cross-play, and the first game getting support is Fortnite. Kotaku first noted the announcement, which appeared on Sony’s Playstation blog. In the blog, Sony Interactive Entertainment president and CEO John Kodera notes that this is a “major policy change” for Sony, as the company has notoriously refused to allow its users to play games with the users of other game consoles or systems. For the longest time this has been an annoyance (Microsoft has been begging Sony to allow crossplay for years), but it wasn’t something people needed to base entire console purchase decisions on. With a claimed 80 million active users, the PS4 continues to be the best selling console available on the market right now and Sony hasn’t needed to play well with others. Fortnite changed that. The game is noteworthy for working across what feels like every platform under the sun, including Mac, Windows, Android, iOS, Nintendo Switch, and Xbox One. Sony was a glaring hold-out. At E3, Xbox’s Phil Spencer noted that it seemed to hurt the kids—who wouldn’t be able to necessarily grasp the nuance of Sony’s decision. 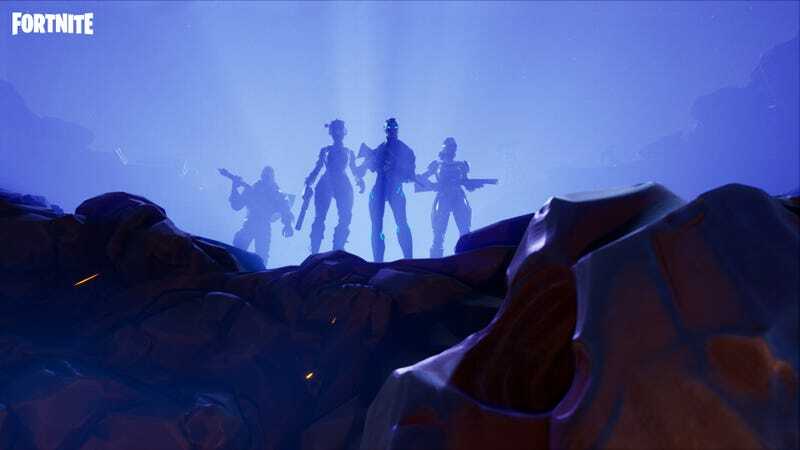 While Sony is not claiming that Fortnite or its developers officially changed Sony’s stance on the subject, it would be silly to assume it was a coincidence that the first game to support cross-play on the PS4 will be an open beta of Fortnite. That beta begins today, in case you want to hop on your PS4 and school some poor kids playing on their old iPhones.